What new members notice first about the North Club is it’s spaciousness. It is truly a friendly, club atmosphere with leather furniture and booths to sit and chat with friends , both new and old. There is free WiFi and a complimentary tea and coffee service. Tanning at the North Club is easy. Already included with your basic membership, members simply need to stop at the desk to ask for one of the tanning keys. No signing out keys and rarely any wait. Members may also sign up for our All-Access membership which includes use of the Lionheart gym, which offers Cross-Fit and martial arts. This membership also includes unlimited tanning at both locations. A great way to warm up your muscles before a workout, especially during the rough State College winters. Warm muscles help to prevent injury during your workouts. 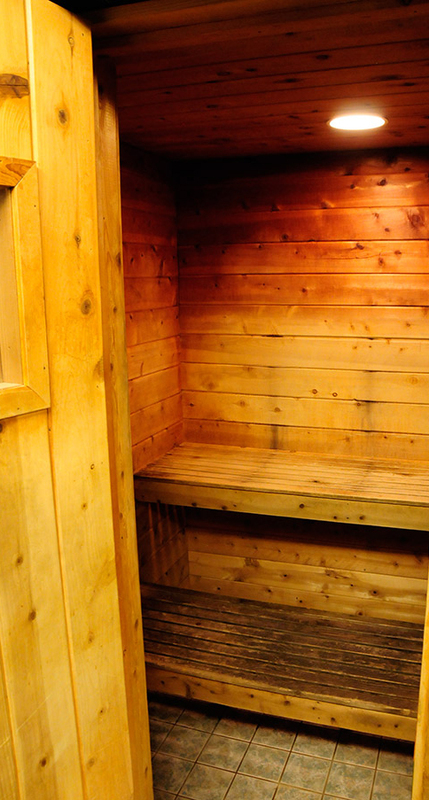 Safely using a sauna can also help you sweat more and, if hydrated, lose some excess water weight. 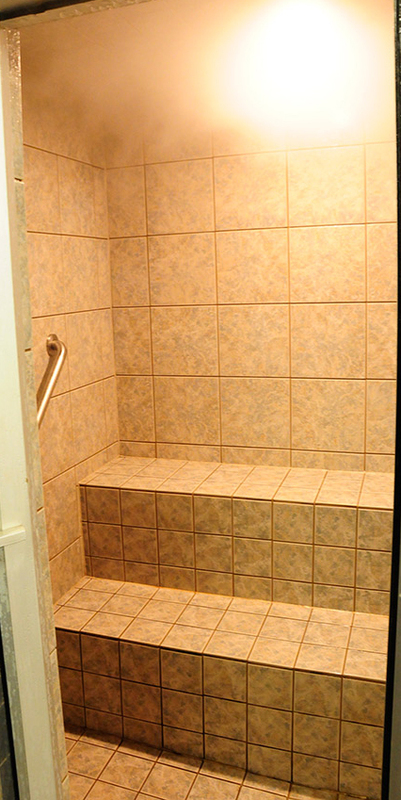 Much like our sauna, the steam room provides warmth to our muscles. This can be useful with workout recovery as well as pre-workout injury prevention. Unlike our sauna the steam room is not a dry heat. An area we are especially proud of, is the Ladies Only Room. It is a room filled with Hoist resistance machines designed exclusively for women to workout on. There are also mats, exercise balls and bands, and plenty of free weights. There are 4 additional treadmills, 1 recumbent bike, and an arc trainer elliptical for your cardio needs. The room is well lit with plenty of windows and an array of flowers and plants to make your workout more enjoyable. 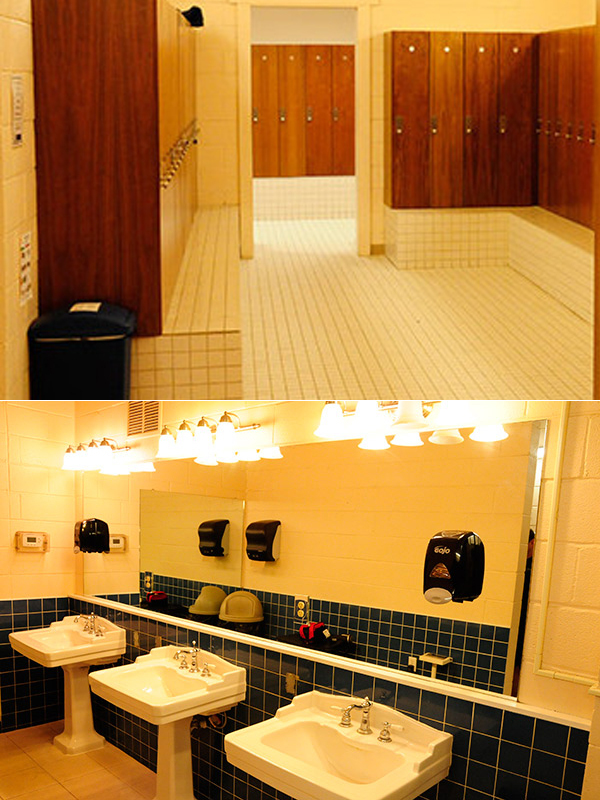 Both the women’s and men’s locker rooms have saunas and steam rooms. There are plenty of lockers for members to use. Also, hair dryers and vanity type mirrors so members can spruce up before they leave and of course plenty of showers in both locker rooms. The collection of cardio equipment is truly impressive. There are well over 100 units. These include treadmills, stair-steppers, AMT’s, ellipticals, bikes, recumbent bikes, Expresso bikes, and more. Most of the equipment have individual HD televisions to keep your cardio more interesting. This much cardio equipment means no waiting and no time limits on members use! The strength training equipment is just as impressive with hundreds of machines and free weights. Stop by to see our full inventory of equipment! Maybe the best value we offer in fitness and fun is our Group Fitness classes program. There are over 200 classes a month available for only $25 per month. These classes are taught by certified instructors set to music to keep you moving. The classes range from yoga and Centergy for flexability, to Kick and cycling classes for cardio, and Power and Core for strength training. We also have free memberships and classes for our senior members in the Silver Sneakers program. 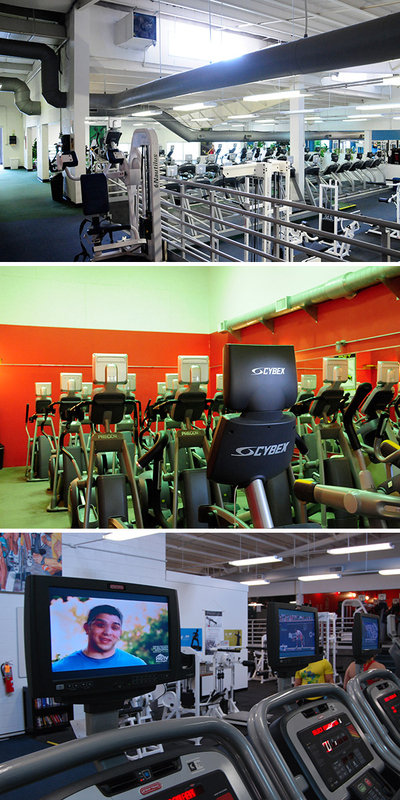 There are two large rooms for group fitness and a separate cycling room with 12 new state-of-the-art stationary bikes. 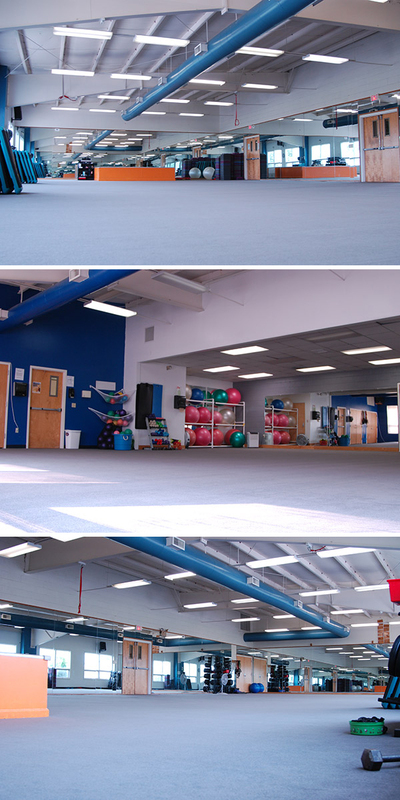 An added benefit for members is the fact that they are free to use these areas when classes are not in session.